The OTHER half of the Godfather Motorsports racing stable; Caleb Moody's Junior Champ kart that competes weekly at Twin State Speedway in Claremont, NH. Another awesome graphics job by ASM Graphics! Through the newly launched NASCAR Unites charitable platform, the NASCAR community can support disaster relief efforts made necessary by this week’s tornado outbreak in the Southeastern part of the United States. Fans can log-on to NASCAR.com/Unites to support the ongoing relief efforts by volunteering or making a donation. NASCAR has also filmed a call-to-action television spot earlier today featuring Dale Earnhardt Jr., Darrell Waltrip and NASCAR President Mike Helton that will air during tonight’s Bubba Burger 250 NASCAR Nationwide Series race on SPEED and tomorrow’s Crown Royal Presents The Matthew & Daniel Hansen 400 NASCAR Sprint Cup Series race on FOX. 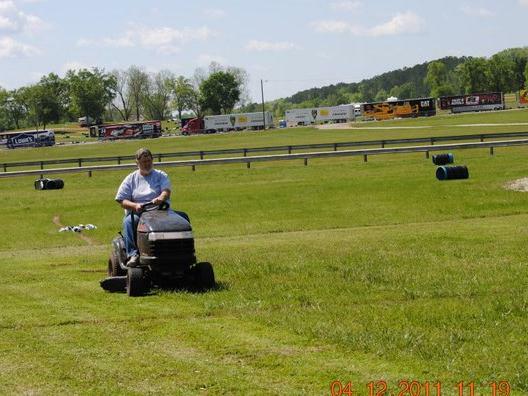 In addition to the NASCAR Unites effort, MRN pit road reporter Danielle Frye has organized a relief effort centered on her home county, St. Clair County, Alabama, where 11 people lost their lives this week. Transporters donated by Red Bull Racing and Hendrick Motorsports will deliver relief supplies to Pell City, Alabama for distribution to those in need. Bottled water, non-perishable food items, coolers, personal hygiene products, baby wipes and plastic tarps are high on the high of needed items, and listeners in the Charlotte, North Carolina area are encouraged to help by dropping off donated items to MRN Radio's Concord studios at 555 MRN (formerly Akins) Dr. In addition to Red Bull and Hendrick, Joe Gibbs Racing, Michael Waltrip Racing and Stewart Haas Racing have all pledged their support to the effort. The Jeff Gordon Foundation's Promise Circle will also provide information on its website detailing how fans can help. Former NASCAR champion Johnny Benson will drive the #21 Racing Awareness Chevrolet owned by MRN Radio announcer Jeff Striegle in the May 7 Boyne Machine Super Late Model series event at Michigan's Berlin Raceway. 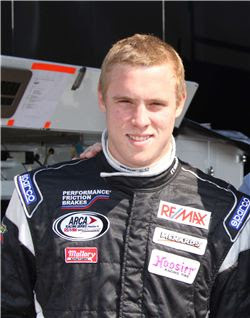 Benson was previously announced as Racing Awareness’ primary driver for 2011, but was not scheduled to drive his first race until June. A schedule change made him available to be behind the wheel for the opening event, and also make a run at the series championship. “The schedule opportunities worked in our favor,” said Benson. “We still have a race conflict later this summer, though, so we will just have to see how it plays out." Track officials have said that each driver's worst finish will be dropped when tallying points toward the championship. Benson will now be able to compete in all but one series race, giving him a shot at the title. “Knowing that we already have to drop the race I can’t attend puts us behind, but we’ll at least have a shot at (the championship),” said, who won his last track championship at Berlin Raceway in 1989. The new #21 Late Model will carry the same paint scheme as Benson’s 1993 ASA championship-winning car, along with the logos of Racing Awareness’ charity beneficiary, Helen DeVos Children’s Hospital. 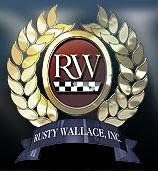 Check out www.racingawareness.com/events for the team's complete schedule. Benson, who currently resides in Cornelius, North Carolina, grew up in Grand Rapids, Michigan and followed in his father's racing footsteps, eventually winning the 1995 NASCAR Nationwide Series championship and the NASCAR Camping World Truck Series title in 2008. He also has a win in 274 career NASCAR Sprint Cup Series starts. The building that housed part of Smokey Yunick's legendary "Best Damn Garage In Town" was destroyed by fire Monday in Daytona Beach, Florida. The North Beach Street fire was reported at approximately 7 pm, but the age of the dwelling and its decades of use as an auto repair shop prevented firefighters from aggressively fighting the blaze. Within 90 minutes, little remained of the storied building but the blackened remains of two outer walls. The elder Yunick opened his "Best Damn Garage in Town" on Beach Street in Daytona Beach in 1947, repairing trucks on one side of the building and building race cars in the other. The race shop featured blacked-out windows and locked doors, keeping curiosity seekers and spies alike at arm’s length. Day and night, Yunick and his band of helpers labored with torches and stick welders to create some of the fastest -- and often most controversial -- racers in the history of motorsports. Yunick was a self-taught engineer, learning to create and refine mechanical devices after dropping out of school at age 16 to take over the family farm following the death of his father. Lured into motorsports by team owner Marshall Teague, Yunick welded up the Hudson Hornet that carried driver Herb Thomas to victory in the second running of the Southern 500 at Darlington Raceway. In the two decades that followed, he was twice honored as NASCAR’s Mechanic of the Year, winning 57 races and two Grand National championships with some of the greatest drivers in the history of the sport. Often operating on the fringes of legality, Yunick frequently confounded NASCAR officials. In 1967, he constructed a 15/16-scale Grand National Chevelle for driver Curtis Turner; dropping its roofline and raising the floor to lower the overall stance of the car, while still maintaining a stock appearance. Smokey called it the best car he ever built, but it was far from the only “gray area” creation to roll out of the Beach Street shop. Yunick once put a basketball in the fuel tank of his car, inflating it to decrease fuel capacity during pre-race inspection, then deflating it for the race. He once sidestepped NASCAR regulations limiting fuel tank capacity by utilizing more than eleven feet of two-inch diameter fuel line. Officials pulled the gas tank from his car, then handed him a list of 10 items to fix before being allowed to compete. "Better make it 11,” he barked, leaving the tank behind as he drove back to the garage. In the early 1960s, Yunick designed a precursor to today’s SAFER barriers using tires mounted between sheets of plywood. NASCAR ignored the concept. 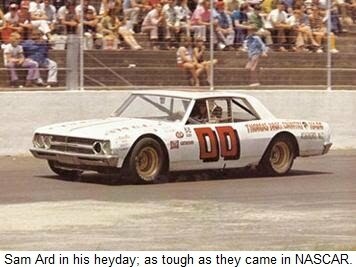 He developed a revolutionary air-jack system for stock cars, but was again rebuffed by the sanctioning body. He introduced offset chassis, extended-tip spark plugs, roof spoilers, variable-ratio power steering and nitrous oxide to NASCAR competition, and while his cars carried Marvin Panch and Fireball Roberts to victory in the 1961 and 1963 Daytona 500s, he eventually tired of NASCAR’s white-glove scrutiny and walked away from stock cars for good. "All those other guys were cheatin' 10 times worse than us," wrote Yunick in his autobiography. "It was just self-defense." 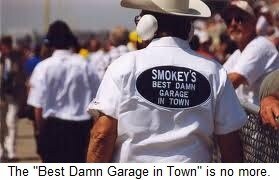 Yunick shut down the “Best Damn Garage” in 1987, complaining bitterly that there were no good mechanics left for him to hire. And after padlocking the doors for the final time, the legendary mechanic made it clear that he would tolerate no undue sentimentality. Smokey passed away in 2001 at the age of 77. And while his battered cowboy hat is currently on display in the NASCAR Hall Of Fame, many viewed the humble, cinderblock building on North Beach Street as an enduring monument to one of NASCAR’s greatest creative minds. “The bulk of the buildings -- the truck shop and the race shop where all his magic happened -- were razed in 2005,” recalled Trish Yunick. “But when the developer left that solitary building standing, it made me wary. I went down last night and watched them finish putting the fire out, and now I don't have to worry about his wishes not being honored. Mike Rowe and the #30 Sirius Speedway/Bea’s Gift Baskets.com Chevrolet suffered a disappointing night in Saturday’s season-opening “Easter Bunny 150” at the legendary Hickory Motor Speedway. 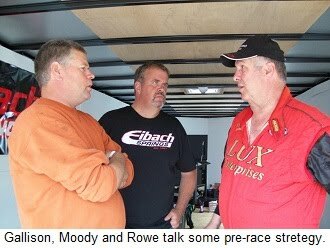 The Godfather Motorsports team was forced to play catch up after a much-needed practice day fell victim to rain Friday. 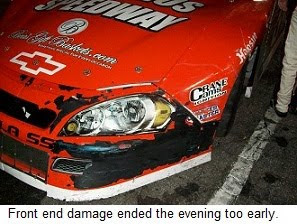 An undiagnosed brake bias issue caused handling problems that plagued the team throughout practice and qualifying, and with 44 of the nation's top Super Late Model teams in attendance, Rowe failed to crack the Top-20 in qualifying and was relegated to the second of two Last Chance qualifying races. He started in the 30th and final starting position in the Main Event after claiming a Promoter’s Option, but was swept-up in an early multi-car crash and relegated to a 30th-place finish. “I think we would have been fine in the 150,” said Rowe. “The car was a lot better, and we planned to pit under the first caution flag to make a chassis adjustment. Unfortunately, we were the first caution flag.” A multi-car crash in turn two left Rowe with nowhere to go, and the #30 Sirius Speedway/Bea’s Gift Baskets.com Chevrolet suffered damage to the left-front suspension that ended the team’s evening. Next up for Godfather Motorsports is the PASS 150 at Motor Mile Speedway in Radford, VA on Saturday, May 28 with third-generation driver Danny Bohn at the wheel. About Godfather Motorsports – Godfather Motorsports is jointly owned by Motor Racing Network and Sirius NASCAR Radio personality Dave Moody and partner Jim Gallison, Jr. The team enjoys major corporate support from Bea’s Gift Baskets.com and a comprehensive list of technological and marketing partners including Eibach Springs, JRI Shock Absorbers, Wilwood Brakes, C&R Racing Inc., Five Star Race Car Bodies, Dynotech Engineering, RaceCom of Virginia, ASM Graphics and X-Flex Racers Tape. Carl Edwards, Kyle Busch, Brad Keselowski and Joey Logano swept the top four finishing positions in Saturday night’s NASCAR Nationwide Series “Nashville 300” at Nashville Superspeedway, apparently renewing the popular debate over the presence of NASCAR Sprint Cup Series drivers in the Nationwide Series. During the offseason, NASCAR made a major change in the way it selects its Nationwide Series champion, requiring drivers to declare which national series in which they will earn 2011 championship points. That move forced Brad Keselowski to forego a defense of his 2010 NASCAR Nationwide Series title. It also eliminated Edwards, Busch and Logano from title contention, after they understandably opted to earn Sprint Cup championship points instead of competing for the Nationwide title. They are, however, still allowed to race and win in the Nationwide Series, and they are doing just that. Sprint Cup regulars have won all eight Nationwide Series events this season, led by Busch with four victories. Edwards has visited Victory Lane twice, with Tony Stewart and Mark Martin claiming single wins. Some observers seem surprised by their continued dominance, apparently believing that a change in the way NASCAR tabulates its championship points would somehow affect the actual on-track competition. For the record, Edwards, Busch, Keselowski and company are still the dominant drivers in the NASCAR Nationwide Series, just as every realistic observer of the sport knew they would be. They have superior experience behind the wheel, along with the best equipment, sponsorship, personnel and manufacturer support. They should be winning races, and they are. But while those Sprint Cup drivers continue to dominate on the race track, there is a group of younger, Nationwide-only drivers waging war at the top of the point standings. Jason Leffler, Justin Allgaier, Reed Sorenson and Ricky Stenhouse, Jr. have each taken a turn at the top of the championship leader board this season, receiving a good deal of media attention for doing so. Elliott Sadler, Aric Almirola, Trevor Bayne and Brian Scott are in hot pursuit, and are also earning considerably more time in the spotlight than they did a year ago. Some members of the NASCAR media have already labeled the new point system a flop, complaining that Nationwide Series regulars have not been miraculously transformed into consistent race winners. They complain bitterly that the playing field has not been leveled, allowing Turner Motorsports to begin trouncing the likes of Jack Roush, Joe Gibbs and Roger Penske while ignoring the fact that nobody -- especially NASCAR – ever promised such a change. Study up on NASCAR history and you’ll see the playing field has never been level. 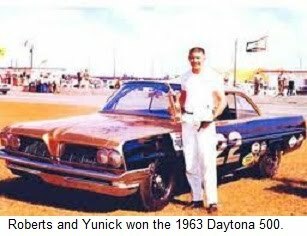 Raymond Parks and Red Byron dominated their era, Smokey Yunick won in his and Petty Enterprises and the Wood Brothers dominated in theirs for the same exact reasons that Rick Hendrick, Jack Roush and Joe Gibbs dominate today; because they have more money, more factory support, smarter people and better drivers. There have always been good teams, mediocre team and bad teams, and the ongoing effort to legislate competitive equality goes against everything that professional sports stand for. It’s like giving the Chicago Cubs a fourth out every inning to make up for their comparative lack of talent. People say they’re tired of seeing big teams beat little teams, but that’s not true. What they’re really sick of seeing is Jimmie Johnson, Carl Edwards and Kyle Busch win races. Kyle is not dominating the Camping World Truck Series in Joe Gibbs Racing equipment. He is fielding his own team and winning with it; something most fans claim to support. And yet, he is seen as part of a problem that needs to be fixed, and fixed now. Those who criticize the Nationwide and Truck Series for not allowing “shade tree mechanics” to run up front are simply out of touch with reality. A race team I am involved with competed in a Super Late Model race last Saturday night at Hickory Motor Speedway. Even at that level of the sport – far below even the Camping World Truck Series -- nearly half the teams showed up in tractor-trailer transporters as expensive as anything seen in the Nationwide or Truck garages. There were 44 Super Late Model teams at Hickory this weekend, and not one of them built their car in a dirt-floored, single-bay garage with a lonely light bulb flickering from the ceiling. It’s time for NASCAR’s fans and media to ditch the romanticism and accept the fact that modern-day NASCAR National Series teams have budgets that far eclipse the budget of a 1980 Winston Cup operation. This is not 1963, when a race team could be built by a few friends working in that dirt-floored, one-bay garage. This is 2011, and successful National Series race teams now run on $7-10 million per year, not $25,000. If you’ve got $25,000 to spend on a race car this season, build a Late Model and run it at your local short track. Don’t expect to compete and win on the second-largest series in America. And stop crying for NASCAR to bring the competition back down to your level. The only way to stop Busch, Edwards and their fellow Sprint Cup drivers from winning Nationwide and Truck Series races is to ban them from the circuit entirely. As we have discussed in the past, doing so would also eliminate Stewart, Martin, Kevin Harvick and Dale Earnhardt, Jr., from the starting lineup, stripping those series of much of its marquee value and depriving track owners of their top ticket sellers. That is not a move that NASCAR, its promoters or television and radio partners are willing to make. So here it is, one more time for those who somehow are still incapable of understanding what happened during the off-season. NASCAR’s new Nationwide point system was not designed to change what happens on the race track on Saturday night. It was designed to alter the look of the championship standings on Monday morning; augmenting an already strong on-track product by allowing talented Nationwide-only youngsters to battle for the series championship. On both counts, the new system is working as planned. Race day is just 24 hours away, and the Sirius Speedway/Bea's Gift Baskets.com #30 Chevrolet is ready to roll. Warren Hamilton of ASM Graphics installed the awesome vinyl graphics last night, putting the finishing touches on a build that was completed -- from bare chassis to race-ready -- in just 12 days. If Mother Nature is willing, the Godfather Motorsports team will practice at Hickory Motor Speedway today from 4-7 PM ET, then be back at the track when the pit gates open at 11 AM Saturday to begin preparations for the Pro All Stars Series "Easter Bunny 150." Time trial qualifying begins at 5 PM, with racing beginning at 6:30. "It's been an amazing two weeks," said Godfather Motorsports co-owner Jim Gallison, Jr. "The boys have worked their tails off to get this car finished, and I couldn't be happier with the finished product. First races are always an adventure, but with a little luck, I think we'll have something for them Saturday night!" "We could not have done this without the amazing support of our technical and marketing partners," said GFM co-owner Dave Moody. "Bea’s Gift Baskets.com came on board this week, and David and Bea Alexander are as excited about this team as we are! Our friends and supporters at Eibach Springs, JRI Shock Absorbers, Wilwood Brakes, C&R Racing Inc., Five Star Race Car Bodies, Dynotech Engineering, RaceCom of Virginia, ASM Graphics and X-Flex Racers Tape have just been awesome, and we could not have pulled this off without them." Join us Saturday night for the debut of the #30 Super Late Model and help root driver Mike Rowe to the front of the field! Godfather Motorsports announced today the addition of Bea’s Gift Baskets.com as a 2011 marketing partner. Godfather Motorsports will field a Chevrolet Impala Super Late Model in selected events on the PASS and CRA Super Series circuits in 2011, with an all-star lineup of drivers. The team will make its competitive debut in the PASS-sanctioned “Easter Bunny 150” at Hickory (NC) Motor Speedway on Saturday, April 23, with former PASS National Champion and three-time Oxford 250 winner Mike Rowe at the wheel. Bea's Gift Baskets.com was born six years ago when founder Bea Alexander’s penchant for designing gift baskets for friends grew from hobby to full-scale business. Since then, the company has expanded to provide specialty gift baskets for virtually every occasion. Bea’s Gift Baskets.com is one-stop gift shopping at its best. Simply select your gift and Bea’s will assemble and ship it anywhere in the Continental United States. Earlier this year, Bea's Gift Baskets.com was selected to provide gift bags for celebrities and VIPs at the 31st Annual Emmy Awards, and Alexander was selected 2011 “Professional Woman of the Year” by the National Association of Professional Women. 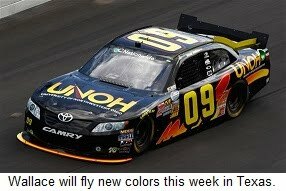 Rusty Wallace Racing has announced that the team will field a third Toyota Camry in a partial 2011 NASCAR Nationwide Series schedule. In addition to the team's #62 Pilot/Flying J Toyota driven by Michael Annett and the #66 5-Hour Energy Toyota piloted by Steve Wallace, RWR's familiar #64 Toyota will return to the track with David Reutimann, David Stremme and 2011 NASCAR Toyota All-Star Showdown winner Jason Bowles sharing seat time. Syracuse, NY-based Aspen Dental, a network of nearly 300 dental practices across 22 states will provide primary sponsorship for four events at Michigan International Speedway, Kentucky Speedway, Watkins Glen International and Bristol Motor Speedway. Stremme will drive the car in several of those events. 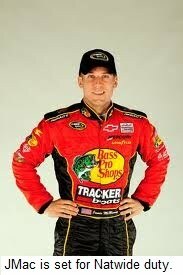 Reutimann will lead off the season this weekend in Nashville, with sponsorship to be announced later this week. Bowles will pilot the #64 Toyota in all three Nationwide Series road course events this season at Watkins Glen, Road America and Montreal. RWR General Manager and former Sprint Cup crew chief Larry Carter will return to the pit box to lead the team in its limited schedule, after guiding Steve Wallace to a top-20 finish in this year's Daytona 500; Wallace's first career Sprint Cup start. "We're very excited about this new addition to our racing program," said Rusty Wallace today. "Not only are we able to continue our partnership with Aspen Dental --a solid and growing network of dental practices -- but we're also able to evaluate our race cars even further. "It's no secret that we haven't run as well as we would have hoped in 2011 and having a veteran like David Reutimann giving additional feedback should help speed up our learning curve. David Stremme did a great job for us in 2008 and I really feel like Jason Bowles has the potential to be fast at the Nationwide level." This past weekend was a rough one for people in parts of Alabama and North Carolina, where a series of devastating tornados inflicted widespread damage and caused multiple deaths. Our MRN Radio colleague Alex Hayden returned from Talladega Superspeedway today to find his hometown of Goldsboro, NC, severely damaged, and many of his townspeople in dire straights. Alex is doing his part to help rebuild the community, and has asked us to lend a hand by spreading the word. We are happy to do so. If any of our Sirius Speedway listeners would like to assist in the rebuilding efforts, donations of any sort can be sent to Eastern Wayne High School, Att: Tony Parrish, 1135 New Hope Road, Goldsboro, NC 27534. For more information on the relief effort and what specific items are needed, phone 1-919-751-7120. Some of the storm victims are left with only the clothes on their backs, and desperately need our help. There are some in the NASCAR community who would like to see Tommy Baldwin and Dave Blaney run out of the sport. 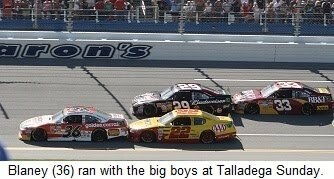 Sunday afternoon at Talladega Superspeedway, Baldwin and Blaney nearly made a run to Victory Lane. With just five laps remaining in Sunday’s Aaron’s 499, Blaney led the field in his Tommy Baldwin Racing/Golden Corral Chevrolet, fighting off repeated challenges from drivers far better financed than he. Carl Edwards took a shot at Blaney, but failed to wrestle away the lead. Jimmie Johnson, Jeff Gordon, Dale Earnhardt, Jr., and Clint Bowyer all threw their cars to the outside of Blaney’s Cinderella Chevy, only to be stiff-armed by the “Buckeye Bullet” with a healthy push from surprise drafting partner Kurt Busch. Blaney -- who hasn’t managed a Top-10 Sprint Cup finish since 2008 – was attempting to join Richard Brickhouse, Jody Ridley, Ron Bouchard and Bobby Hillin on a long and storied list of surprise Talladega winners. Blaney’s bid to force his heavy right foot into Talladega’s glass slipper brought the fans to their feet, but his carriage turned into a pumpkin when he spun off Busch’s front bumper with two laps remaining and limped home to a 27th-place finish. Blaney's Talladega performance will do little to silence the start-and-park critics; a pitbull-fierce group whose race experience is somehow ruined by three cars retiring to the garage with a handful of laps complete. They will continue to brand Blaney, Baldwin and their fellow start-and-parkers “not real race teams,” saying they should either try harder, or not try at all. There are no moral victories in NASCAR, and while Sunday’s outcome was bitterly disappointing for both Blaney and his team, it doesn’t change the fact that they were a force to be reckoned with in the final laps. Blaney and Baldwin come under constant fire for practicing the much-maligned art of “start and park,” but they proved their worthiness once and for all at Talladega. Once called “thieves” by Texas Motor Speedway President Eddie Gossage, they justified their presence in the NASCAR garage, speaking eloquently for their right to continue hammering out a meager subsistence in a sport so totally dominant by the powerful and the rich. If only for a few laps Sunday, Baldwin and Blaney proved that underdogs still deserve their place in NASCAR. Denver, NC – Godfather Motorsports announced today the addition of JRI Shock Absorbers and Wilwood Engineering to the team’s lineup of technical and marketing partners. Godfather Motorsports will field a Chevrolet Impala Super Late Model in selected events on the PASS and CRA Super Series circuits in 2011, with an all-star lineup of drivers. The team will make its competitive debut in the PASS-sanctioned “Easter Bunny 150” at Hickory (NC) Motor Speedway on Saturday, April 23, with former PASS National Champion and three-time Oxford 250 winner Mike Rowe at the wheel. JRI manufacturers a complete line of state-of-the-art racing shock absorbers, test systems and tools for virtually every motorsports application. JRI shocks provide the winning advantage to drivers like 2010 ARCA champion Patrick Sheltra, World Of Outlaws Sprint Car Series standouts Brooke Tatnell and Jac “The Wild Child” Haudenschild, ARCA winners Craig Goess and Robb Brent, 2010 AMSOil Sprint Car Series “Indiana Sprint Week” champion Jon Stanbrough and Lucas Oil Dirt Late Model standout Lucas Davenport. JRI is also a part of Joe Gibbs Racing’s highly successful motocross program. “Before the first lap has been turned, JRI and their short track arm – Precision Suspension -- have been an indispensible part of our effort,” said Godfather Motorsports co-owner Dave Moody. 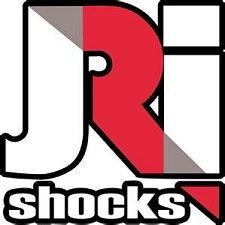 “There is simply no better, more adaptable shock absorber on the market, and their support after the sale is second to none.” Learn more about JRI Shock Absorbers and their full line of products at www.jrishocks.com. While best known for their automotive racing products, California-based Wilwood Engineering also manufactures brakes for industrial and original-equipment manufacturers, including specialty vehicles, all-terrain vehicles, snowmobiles and the Army’s H1 HUMVEE; as well as brakes for amusement rides, agricultural vehicles and heavy equipment. They stock a large selection of off-the-shelf components including steel, iron, aluminum, carbon ceramic and titanium rotors, brake calipers, master cylinders, friction materials, metering valves, proportioning valves, combination valves and complete brake systems. They specialize in the rapid development of custom brake components and brake systems, and with over 30 years in disc brake engineering, proprietary tooling and developing state-of-the-art production efficiencies, they are also extremely competitive on cost. “When we talked about brakes, there was only one company I wanted to be involved with,” said GMS co-owner Jim Gallison, Jr. “That company was Wilwood. They manufacture the lightest, strongest brakes for our application, they’re right on price, and their technical support team is the best. If I have a question, I know the answer is just a phone call away.” For more information on Wilwood Engineering’s full line of aftermarket and racing disc brakes, call (805) 388-1188. About Godfather Motorsports – Godfather Motorsports is jointly owned by Motor Racing Network and Sirius NASCAR Radio personality Dave Moody and partner Jim Gallison, Jr. The team enjoys major corporate sponsorship from RainEater Wiper Blades, along with a comprehensive list of technological and marketing partners that includes Eibach Springs, JRI Shock Absorbers, Wilwood Brakes, C&R Racing Inc., Five Star Stock Car Bodies, Dynotech Engineering, RaceCom of Virginia, ASM Graphics and XFlex Racers Tape. For additional information on the team and marketing opportunities with Godfather Motorsports, contact Dave Moody -- mrnturn1@hotmail.com. Loyal listener James in Alabama will be away from his radio for the next few days, preparing his campsite at Talladega Superspeedway for his annual Deep Fried Frenzy. Work is clearly underway already! Brandon McReynolds will run this weekend’s ARCA Series “3 Amigos 250” at Talladega Superspeedway in the #4 Wolfpack Rentals Chevrolet fielded by Turner Motorsports. McReynolds competed in four ARCA events last season, including a 23rd place finish at Talladega driving for Eddie Sharp Racing. He finished 19th in his NASCAR Nationwide Series debut at Gateway International Raceway driving the Team 42 Racing Dodge, and claimed a pair of 2010 UARA Late Model wins at Rockingham Speedway. McReynolds, son of NASCAR on FOX analyst and former NASCAR crewchief Larry McReynolds, tested with Turner Motorsports at Florida’s New Smyrna Speedway in January, and will be driving the same car Ricky Carmichael raced to a fourth-place finish in the season-opening “Lucas Oil Slick Mist 250” at Daytona. McReynolds’ car – and all four Turner Motorsports’ Nationwide Series entries -- will carry decals this weekend in honor of former ARCA competitor and Turner Motorsports employee Beau Slocumb, who lost his lengthy battle with cancer last week. Slocumb made four ARCA starts in 2009, earning a pair of top-10 finishes including a career-best fifth-place finish at Kansas Speedway. Two-time NASCAR Busch Series champion Sam Ard is auctioning some of the keepsakes from his legendary NASCAR career on EBay, in an attempt to raise money for his ongoing care. Ard suffered career-ending head injuries during an October 20, 1984 Rockingham Speedway crash while racing in what is now the NASCAR Nationwide Series. The 1983 and 1984 series champion has battled both Alzheimer’s and Parkinson’s diseases; afflictions his doctors say were likely hastened by his racing injuries. His wife, Jo, continues to serve as his major caregiver, but has been diagnosed with a degenerative eye disease that is slowly robbing her of her vision. The Ards have fallen into financial difficulty in recent years, despite efforts by a number of NASCAR Sprint Cup Series drivers – notably Kyle Busch and Kevin Harvick – to contribute to their cause. In 2008, Harvick presented Ard’s son Robert with the Chevrolet Van used in a television commercial featuring Harvick and his then-sponsor, Shell Oil. Busch has contributed to the family on multiple occasions, as well, but more needs to be done. UPDATE: To assist the Ards more directly, send your monetary contribution to 1237 Bass Rd. Pamplico SC, 29583. WalMart gift cards are especially valuable, since the family uses them for food, clothing, laundry and personal care products for Sam. C&J Energy Services will sponsor former NASCAR Sprint Cup Series champion Terry Labonte when he returns to competition aboard the FAS Lane Racing #32 Ford this weekend in the Aaron’s 499 at Talladega Superspeedway. Labonte drove the Frank Stoddard-owned #32 Ford to a solid 15th-place finish in the season opening Daytona 500. “We welcome the opportunity to work with C&J Energy Services this week and we truly appreciate their support of our FAS Lane Racing team,” said Stoddard. “It is sponsors like C&J Energy Services that make it possible for teams like us to compete at this level. It will be nice having Terry back in the car; we had a strong run together in Daytona and we are looking forward to another one this week." C&J Energy Services is based in Houston and was founded in Corpus Christi, Texas; Labonte's hometown. C&J's founders are longtime friends with the Labonte family. FAS Lane Racing finished 33rd last weekend at Texas Motor Speedway with Ken Schrader at the controls, and currently sits 33rd in 2011 NASCAR Sprint Cup Series owners' points. 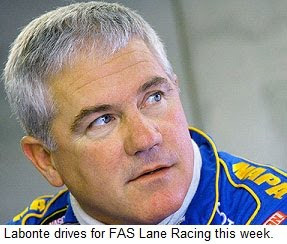 In addition to Labonte and Schrader, the team has also had Mike Skinner at the wheel this season en route to three top-25 finishes in the first seven races. Phoenix Racing announced today it will enter this weekend's Aaron's 312 NASCAR Nationwide Series race at the 2.66-mile Talladega Superspeedway, and the team will do so with a familiar face behind the wheel. 2010 Daytona 500 winner Jamie McMurray will drive the #1 Phoenix Construction Chevrolet Saturday, in search of his third victory for Phoenix Racing. The other two came at Rockingham Speedway in 2003. McMurray has a total of eight career Nationwide Series wins and is recognized as one of the best drivers on restrictor plate tracks. He has three Sprint Cup Series wins at Talladega and Daytona combined, and will be looking for his first plate win in the Nationwide Series this weekend. "This is a great opportunity to race for a win," said McMurray. "James Finch and everyone at Phoenix Racing always prepare fast cars for Talladega. It's fun to race with these guys, and I'm looking forward to try to get another win with them." Phoenix Racing is a 12-time winner in the NASCAR Nationwide Series and is looking for their first win at Talladega to go with one Talladega win in Sprint Cup Series competition. Team owner James Finch expressed confidence that McMurray is capable of bringing home the winner's trophy this weekend, saying, "Jamie has proven that he is one of the best at plate races." Despite ending its sponsorship of the Rick Ware Racing NASCAR Camping World Truck Series team earlier this week, Fuel Doctor USA will maintain its relationship with driver Jeffrey Earnhardt. Fuel Doctor USA spokesperson Tanya Hall said today, "Jeffrey Earnhardt and (Jeffrey Earnhardt, Inc.) remain a very intricate part of our NASCAR program at Fuel Doctor USA. Jeffrey has a Personal Services Agreement with Fuel Doctor and we have tried and continue to try and find the right racing opportunities for him moving forward. "All parties involved were aware that Martinsville was the last race for Jeffrey (with RWR) unless additional funding could be found with no hard feelings," said Hall. "Fuel Doctor is involved in other motorsports venues outside of NASCAR with other drivers as well and each program is separate and hold their merits with business-to-business opportunities and marketing opportunities as well," she said. "Fuel Doctor has been extremely committed to Jeffrey Earnhardt and we are thrilled he is still a part of our racing division. Fuel Doctor USA announced today that the company will back Turn One Racing’s #60 NASCAR Camping World Truck Series entry driven by rookie Cole Whitt. Fuel Doctor will serve as an associate sponsor on Whitt’s #60 Red Bull machine in the next eight Truck Series races, beginning with the Bully Hill Vineyards 200 at Nashville Superspeedway on April 22. Fuel Doctor will assume major sponsor status beginning with the July 29 event at Lucas Oil Raceway at Indianapolis, with Red Bull serving as associate sponsor. Whitt is currently tied for third in the 2011 championship standings, and is the series’ top rookie with a pole and three Top-8 finishes in the last four races. Fuel Doctor’s signing with Turn One Motorsports signals an end to the company's relationship with Rick Ware Racing, where they had backed third generation driver Jeffrey Earnhardt to 14th place in championship points. Earnhardt stood 10th a week ago, before a hard crash at Martinsville dropped him 54 points off the series lead held by Johnny Sauter. A spokesperson for Rick Ware Racing confirmed that Fuel Doctor is no longer a sponsor of the team, and that RWR is searching for a new backer. She said Earnhardt is unlikely to be back in the truck when the series resumes in two weeks in Nashville, and that Ware is also seeking a new driver. Former PASS National Champion Mike Rowe of Turner, Me., will compete in the “Easter Bunny 150” at Hickory Motor Speedway in Hickory, NC, on Saturday, April 23, driving the new, #30 RainEater Wiper Blades Chevrolet for Godfather Motorsports. The 2006 PASS National champion comes to Hickory as the reigning NASCAR Whelen All-American Series Maine State champion, after claiming that title in 2010 for the second consecutive season. 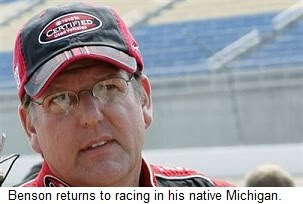 His lengthy resume’ includes championships on the American-Canadian Tour and PASS South Series, seven Late Model championships at Maine’s Oxford Plains Speedway, a trio of wins in that track’s showcase event; the TD Bank Oxford 250 and solo titles at the Beech Ridge and Wiscasset Raceways in his native Maine. Rowe also knows the way to Victory Lane at Hickory Motor Speedway, having emerged victorious in the inaugural “Easter Bunny 150” in 2006. About Godfather Motorsports – Godfather Motorsports is jointly owned by Motor Racing Network and Sirius NASCAR Radio personality Dave Moody and partner Jim Gallison, Jr. The team enjoys major corporate sponsorship from RainEater Wiper Blades, along with a comprehensive list of technological and marketing partners that includes Eibach Springs, JRI Shock Absorbers, Wilwood Brakes, C&R Racing Inc., Five Star Stock Car Bodies, Dynotech Engineering, RaceCom of Virginia, ASM Graphics and ISC Racers Tape. For additional information on the team and marketing opportunities with Godfather Motorsports, contact Dave Moody -- mrnturn1@hotmail.com. 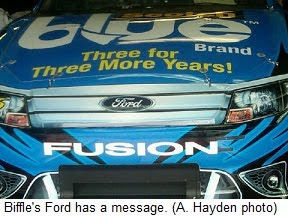 Sirius NASCAR Radio’s Sirius Speedway with Dave Moody has learned that development of the proposed new 2013 Sprint Cup Series body styles is progressing on schedule, as the sanctioning body works hand-in-hand with automakers to increase brand identity on the race track. Multiple sources say Chevrolet, Ford, Dodge and Toyota are expected to submit their final roof and rear deck lid designs in the near future, allowing NASCAR to move forward with the process of creating a unique body for each brand, while maintaining a similar aerodynamic footprint. The current Sprint Cup Series bodies are virtually identical, with the exception of a vinyl graphics package applied to the headlight, grille and rear taillight areas of each car. 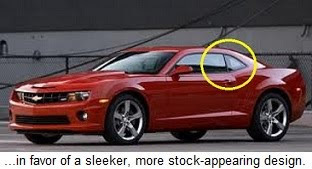 Beginning in 2013, however, the sanctioning body hopes to have each model be easily identifiable from the front, rear and sides. 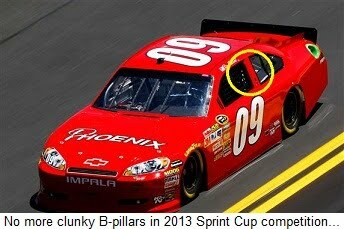 The change would allow teams to do away with the bulky, steel B-pillars required under current NASCAR rules, replacing them with thin “support strips” anchored to larger, lexan side windows. The move will greatly enhance brand identity, something automakers have lobbied hard for in recent years. It could also remove the main stumbling block cited by General Motors executives for not keeping their popular Chevrolet Camaro out of NASCAR competition. GM has staunchly refused to modify what it calls the “iconic body line” of the Camaro for NASCAR competition. But with new rules in place for the 2013 season, there is a chance the Detroit automaker could reconsider that decision. RAB Racing with Brack Maggard will feature a new primary sponsor at Texas Motor Speedway as American Ethanol partners with RAB Racing and veteran driver Kenny Wallace for the NASCAR Nationwide Series O’Reilly Auto Parts 300 on Friday, April 8th. Wallace, who is the official voice of Family Farmers and represents Sunoco Green E-15 Ethanol, will drive the No. 09 American Ethanol Toyota Camry, featuring a special black and green paint scheme, in the first night race of the 2011 NASCAR season. Kevin Harvick won Sunday's “Goody’s Fast Relief 500” at Martinsville Speedway, earning him one of Clay Campbell’s coveted grandfather clock trophies and a full measure of early season championship momentum. More important, though, was lesson it provided on the value of sticking together when times get tough. Since first being thrust into the vacated seat of NASCAR’s greatest champion when Dale Earnhardt lost his life on the final lap of the 2001 Daytona 500, Harvick has often been anything but a “stick-together” kind of guy. He took Earnhardt’s mourning team back to Victory Lane just three weeks later, but in decade that ensued, the California native has not always dealt well with the pressures and demands of being a marquee NASCAR driver. In 2002, he served a one-race suspension from Cup competition after a post-race Martinsville Truck Series meltdown that featured him leaping over the hood of Greg Biffle’s machine and wrapping his hands around his fellow driver’s neck. Two years ago, he railed long and loud about Richard Childress Racing’s lack of competitiveness, to the point where many observers doubted he would re-sign with the team when his contract expired. 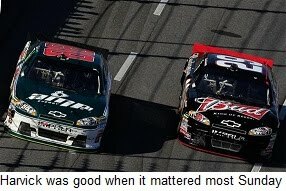 Eventually convinced that RCR was closing the competitive gap, Harvick elected to remain with the team. And while the last 12 months have featured a handful of his familiar in-car verbal explosions, both he and his Gil Martin-led crew have evolved into one of the sport’s top teams. Martin and company no longer take Harvick’s rants to heart, realizing that they stem from a deep-seated, all-consuming competitiveness, rather than any personal ill will. And Harvick has learned to temper his criticism when he can, and apologize afterward when he cannot. 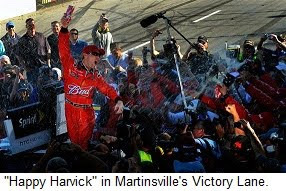 Last weekend’s Martinsville victory provided the latest lesson in Harvick’s ongoing championship tutorial. The day began disastrously, with an ill-handling car incapable of running in the Top 20. Harvick responded poorly, with a lengthy period of verbal lambasting directed at his team. But by the end of the 500-lap grind, however, his Budweiser Chevrolet was the class of the field, surging past Dale Earnhardt, Jr. with just a handful of laps remaining and rolling into Victory Lane for the second time in as many weeks. The win pushed Harvick all the way to fifth in the championship standings -- just 15 points behind leader Kyle Busch – and opened the door for an interesting bit of post-race psychoanalysis from the driver. "I'm a high-strung person and I turn into a lunatic when I get in the car," admitted Harvick after his come-from-behind win. "I get in this mind frame that I just can't get out of while I'm in that car. All I want to do is do good for our sponsors and for our team. That's really what it's all about, (but I) just turn into this crazed animal. “Then I wind up apologizing more than I do anything else. It was a rare moment of introspection from NASCAR’s newest championship contender, a sign that in addition to age, maturity and experience, Harvick has gained the ability to acknowledge and analyze his own competitive shortcomings. Earlier this season, Harvick displayed his newfound composure after engine failure relegated him to a 42nd place finish in the season opener at Daytona International Speedway. The Harvick of old would almost certainly have blown his top, bemoaning the difficulties of overcoming such a disastrous start to the season. The new Harvick, however, spoke calmly and in measured tones, saying, “When we left Daytona, I was laughing because it had been 156 races since we had had an engine problem. It's hard to get down on anybody (who is) 1-for-156 in this sport. There's no reason to get down on those guys, because that's going to cause more harm than good." With two consecutive wins and a new attitude in tow, Kevin Harvick may finally have acquired all the tools necessary to claim his place at the head of the NASCAR class. Dion Autobiography Back In Print! 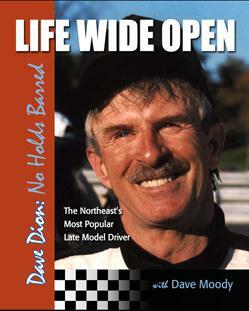 Northeast Late Model legend "Dynamite" Dave Dion's autobiography, "Life Wide Open," written with Motor Racing Network announcer and Sirius NASCAR Radio host Dave Moody, is now back in print. 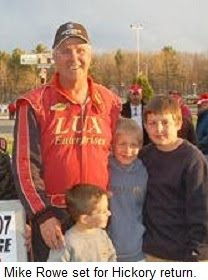 Dion's autobiography proves conclusively why he is considered the most popular Late Model driver in the Northeast. He talks passionately about his racing career and his family's personal struggles with alcoholism, the Vietnam War, and the pressures of decades on the road. It's a story that will appeal to racers and non-racers alike, and is a can't-miss book for any short track racing fan. Jam-packed with photography from Dion's 30-year racing career, "Life Wide Open" is the classic story of a rugged individualist who pieces together a moral code far more precious than the silver in his hundreds of trophies. The book is available from Coastal 181 publishers in soft-cover, and is 224 pages with over 100 black and white photos. Price is $19.95, plus shipping and handling. To order your copy of "Life Wide Open," click HERE, or visit www.coastal181.com. There’s a minor debate swirling at Martinsville Speedway today, surrounding a schedule change that moves Sprint Cup qualifying from Friday afternoon to Saturday morning for the first time in history. A handful of drivers and media members are criticising that change today, complaining that Sprint Cup Series teams will be at the speedway tomorrow to turn a grand total of two qualifying laps; a situation they see as a waste of time. They are -– of course -- entitled to their opinion. But in their unfailing unhappiness, that small group of Martinsville complainers ignores the reality of who pays the bills in this sport. NASCAR does not run for the benefit of the racers. It doesn’t run for the media. It runs for the fans; a group without whom the sport would very quickly cease to exist. In conjunction with NASCAR, track president Clay Campbell and his Martinsville Speedway staff have implemented a change that will result in a tremendous Saturday value for race fans. By rolling back Cup qualifying to Saturday, fans will now be able to enjoy Truck Series qualifying, Cup Series qualifying and the Camping World Truck Series race; all in one day, for the price of a single ticket. That’s a good thing, whether or not it inconveniences a few folks on the working side of the fence. The media is here today en mass, despite the fact that there’s nothing but practice on the schedule. Attendance is not mandatory, so I can only assume they are here by choice. As far as the drivers and crews are concerned, practice is as much a part of their race weekend as qualifying or the race itself. It’s their job to practice their race cars, whether those practice laps take place on Friday or Saturday. I understand how tempting it is to seek out the negative in every change. And yes, maybe this new schedule is a tad inconvenient for some. But for the people who matter: the people who buy the tickets, it’s a good deal. Canadian businessman Steve Meehan has purchased the Baker Curb Racing NASCAR Nationwide Series team, and will run a limited schedule of events this season in both the Nationwide and Sprint Cup Series with countryman JR Fitzpatrick at the wheel. The 46-year old Meehan is founder of the Investment Planning Counsel and sold his company to IGM Financial or $95 million in cash and stock options in 2004. 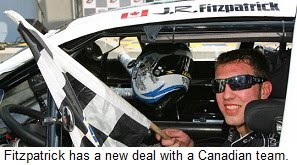 He finalized the purchase of Baker Curb Racing following the Bristol race earlier this month, and will finance the effort himself in the short term, while attempting to attract sponsorship from north of the border for his new, all-Canadian team. Meehan said he hopes to run Fitzpatrick in a handful of Sprint Cup races this season, with an eventual goal of full-time competition in NASCAR’s premier series by 2013. Fitzpatrick is a former champion of what is now the NASCAR Canadian Tire Series, claiming that title in 2006 at the age of 18 and finishing second in championship points a year ago. The Cambridge, Ont., driver has nine career starts in the NASCAR Nationwide Series and 13 in the Camping World Trucks. He has made two Nationwide appearances this season, finishing 42nd in the season opener at Daytona International Speedway and 20th last weekend at Auto Club Speedway. Both of those races were under the banner of Baker Curb Racing, which has struggled recently due to lack of sponsorship. Earlier this year, owner Gary Baker expressed hope that he might save his team with a last-minute infusion of capital, saying, “The rumor of our doors being padlocked is reminiscent of when Mark Twain said, `rumors of my demise have been greatly exaggerated.’ We are going full-bore toward finding sponsorship for next year.” That backing never materialized, however, forcing Baker to explore the possibility of a sale. The new team was originally scheduled to compete in Nationwide competition at Texas Motor Speedway next weekend, but the ownership change has pushed back that timeline. They will now debut at Nashville in three weeks.